**GUIDE PRICE £175,000 - £180,000** Superb two double bedroom cottage located on this sought after road within the Village of Laughton-En-Le-Morthen close to open countryside, local shops and schools. The accommodation to the ground floor comprises entrance with stairs rising to the first floor landing, stunning lounge with double aspect double glazed windows and feature fireplace with tiled hearth inset with log burning stove. The dining kitchen has a good range of wall and base cabinets, integrated dishwasher and space for Range cooker. Set beneath the rear window is a Belfast sink. The utility provides space for automatic washing machine, tumble drier, fridge freezer etc. To the first floor landing are two double bedrooms and the modern bathroom comprises bath, separate enclosed shower cubicle, wash hand basin and low flush WC. 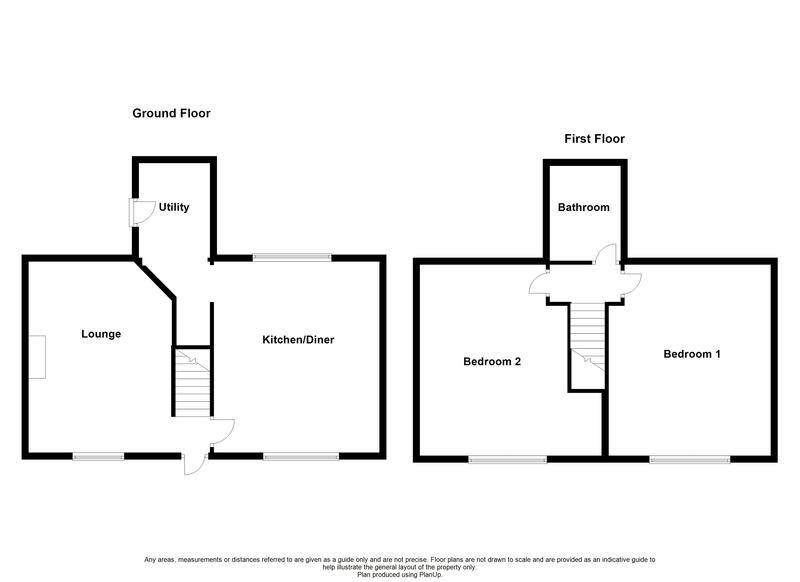 Having double glazing, gas central heating and courtyard garden. The Village of Laughton-En-Le-Morthen is well placed for a range of local amenities including shops and schools. The motorway network together with Sheffield and Rotherham and the motorway network are all within easy travelling distance.